An eyelash curler can make a noticeable difference with little time and effort. 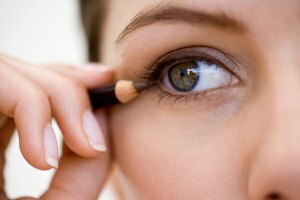 Taking a little extra time each morning to make your peepers appear open and awake can make a big difference in your finished makeup look. An eyelash curler provides a simple way to show your lashes some extra love. Taking the time to curl your lashes can give the illusion of longer lashes. You also boost the power of mascara when your lashes are curled. Whether you were born with short lashes or you have sparse lashes that need all the help they can get, an eyelash curler can improve the overall look of your eyes, as it physically puts a slight, upward bend to the lashes. This gives the appearance of longer, fuller lashes. 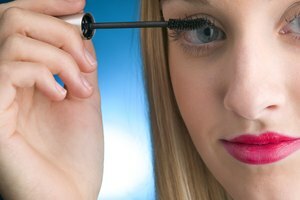 If you're using mascara, curling the lashes will help the full effect of the mascara be seen. Some mascara formulations that work to lengthen and thicken can also lift the lashes and help them to retain the curl throughout the day. Choosing an eyelash curler is a matter of personal preference. Some eyelash curlers are designed with specific eye shapes in mind, such as almond-shaped eyes. Other eyelash curlers are heated, which can help boost the curling ability and provide an even bigger difference. If you already have a curler that isn't of the heated variety, blow your hairdryer on it for around five seconds before using it on your lashes -- the heat will produce the same lash-enhancing effect. Allure: Do You Really Need a Heated Eyelash Curler? Miller, Pamela. "Does Curling Your Eyelashes Really Make a Difference?" 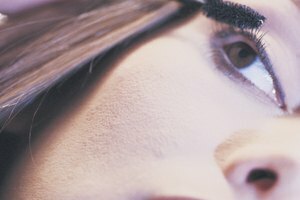 Synonym, https://classroom.synonym.com/curling-eyelashes-really-make-difference-17203.html. Accessed 23 April 2019.